For the second year running, European Sign Expo 2019 is sponsored by textile frames and lightbox supplier, EFKA. Henk Lever, Director and Owner at EFKA comments on the decision: “European Sign Expo is a very important event for us. 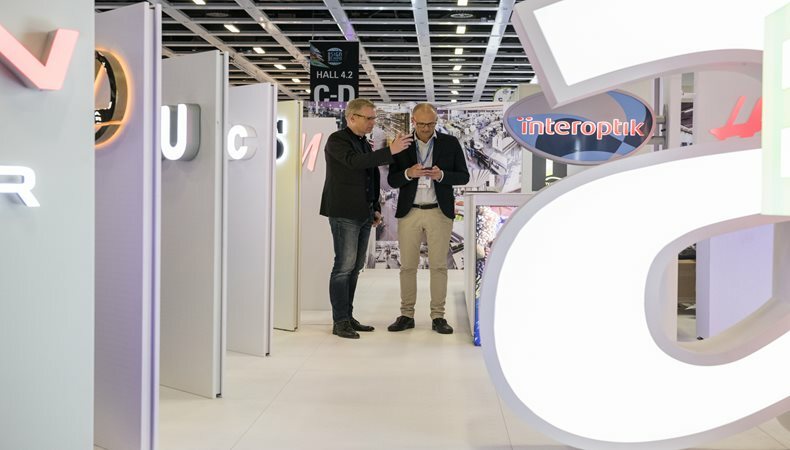 As a producer of textile frames and lightboxes in Holland for many years, we wanted to expand our visibility internationally and felt that European Sign Expo was the best channel to target distributors and customers. We also find it very beneficial that the show changes location year-on-year, as it means that we are able to extend our European footprint. Within the FESPA halls, visiting sign-makers can access the free show features including seminars, workshops and technology showcases. Features of particular interest to sign-makers include: Colour L*A*B*, the new colour management feature designed to help visitors improve colour management practices within their businesses; Printeriors, a unique showcase demonstrating the opportunities for interior décor, highlighting both interior and exterior décor applications using a range of different technology including sustainable signage solutions; the World Wrap Masters, FESPA’s vehicle wrapping competition, and the Trend Theatre conference programme, where leading industry speakers will present the latest industry trends and panel discussions on key topics. For more information on European Sign Expo 2019, visit: www.europeansignexpo.com. For free entry, use code ESEM905 when registering.